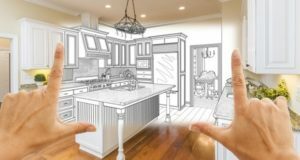 The kitchen is the nucleus of your home. The family gathers here to cook, eat and bond over food. 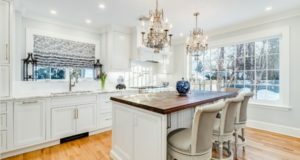 The kitchen essentially ties the entire decor of your home together. 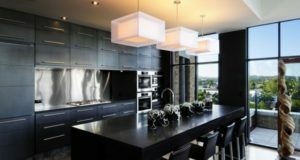 It is wise to go with a neutral colour scheme as it is easy on the eye, contemporary and easy to maintain. Are red and yellow kitchens conducive to cooking? Red is the colour of passion, fire and energy. 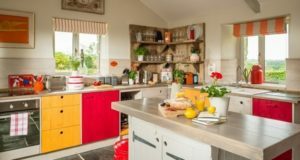 It has been found that using the colour red may actually help in producing hunger and using it in the kitchen may be actually good.Especially, if your dining area is inbuilt into the kitchen area. Old fashioned kitchens had generous splashes of yellow, making them homey and bright. 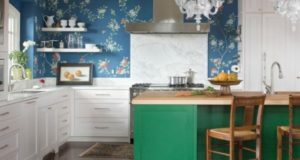 The trend towards colorful and bright kitchens is reinventing itself. 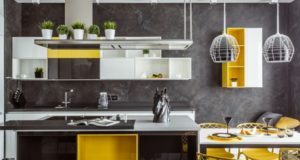 Let us explore the various ways in which we can create a yellow theme for the kitchen. 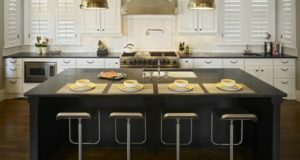 Kitchens are slowly but surely becoming the center piece of the home. 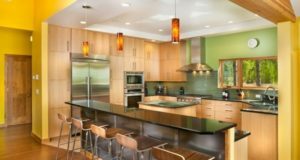 Gone are the days when the kitchen was relegated to the back of the house and was a neglected and gloomy room. 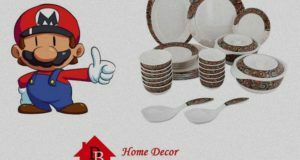 Today’s home maker is aware of the latest design trends and styles.